Finch, Reese, Fusco and Shaw embark on one last mission to prevent Samaritan from destroying The Machine and cementing its hold over mankind. 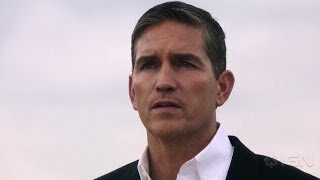 Person of Interest follows former CIA paramilitary operative, John Reese, who is presumed dead and teams up with reclusive billionaire Finch to prevent violent crimes in New York City by initiating their own type of justice. With the special training that Reese has had in Covert Operations and Finch's genius software inventing mind, the two are a perfect match for the job that they have to complete. With the help of surveillance equipment, they work "outside the law" and get the right criminal behind bars. You are able to buy "Person of Interest" on Microsoft Store as download.